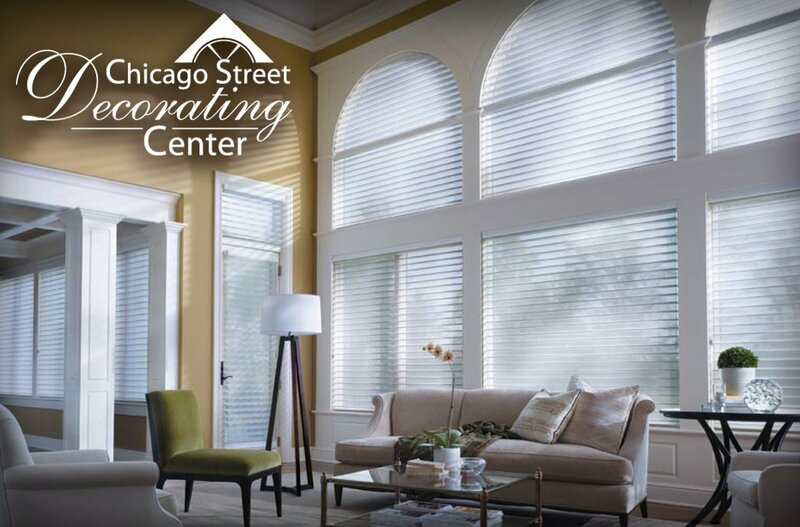 Freshen any room in your home with new window treatments from Chicago Street Decorating Center. We take the guesswork out of the myriad of choices in draperies, valances, shades and blinds, from design recommendations to fabric expertise. First, visit our showroom to see, touch and feel some examples among hundreds of options. Then, we provide you with a free in-home consultation, including design and measuring. We help solve your concerns about privacy, light levels, energy efficiency, and more. We will transform your fabric choices into custom drapery and top treatment designs, giving you exactly what you want with fast and friendly service from our custom workrooms. Then, a professional installer finalizes your window treatments, hanging them in your home and saving you the time and trouble.